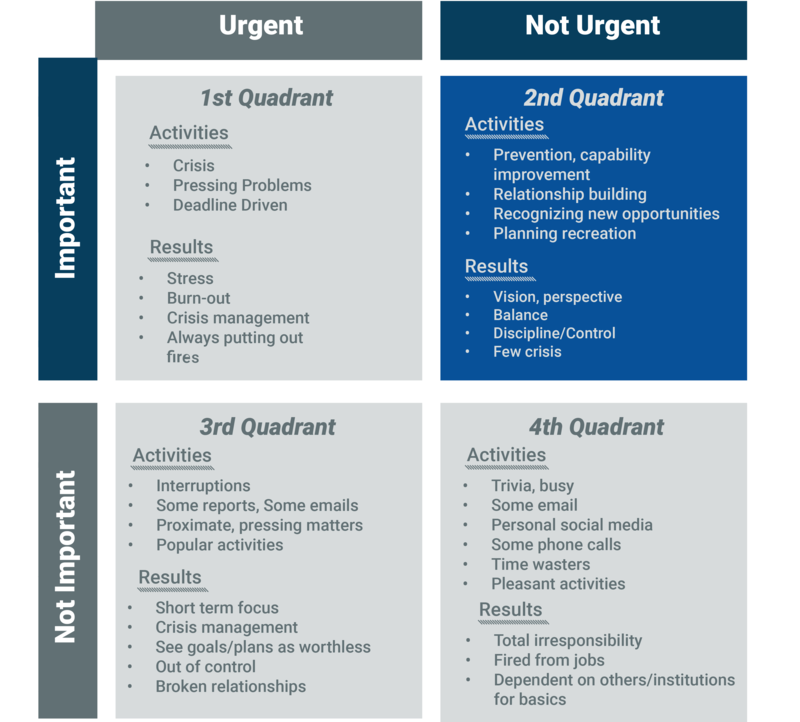 The „second quadrant“ promotes planning and outlining of personal goals through effective personal management. It also empowers an individual to decide on what’s important rather than urgent. This makes an individual focus on long-term vision as well as their ability to execute short to medium term goals.